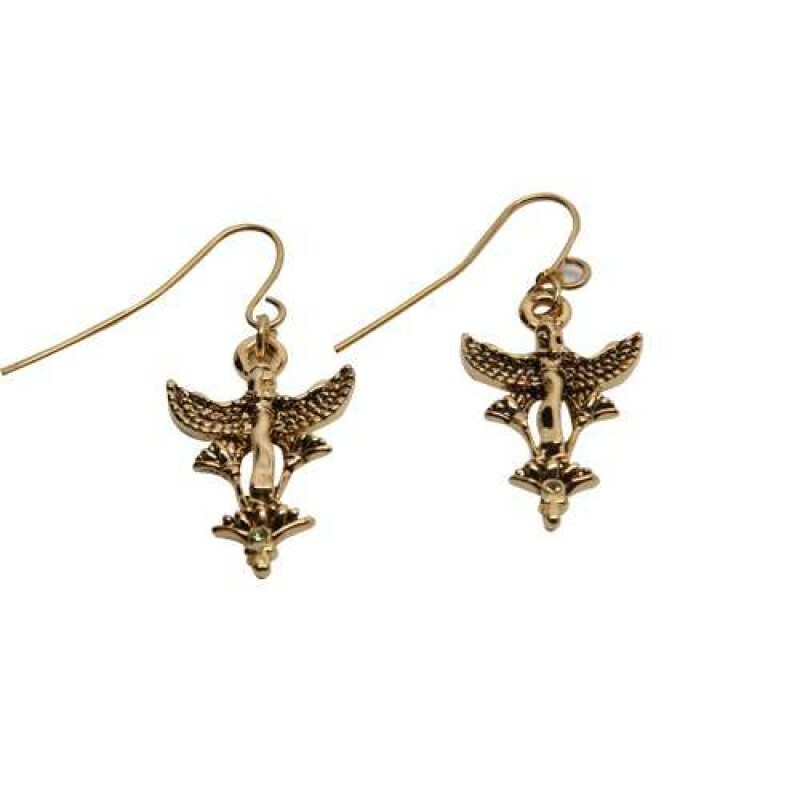 Lovely gold tone Egyptian earrings feature the Goddess Maat with lotus blossoms. 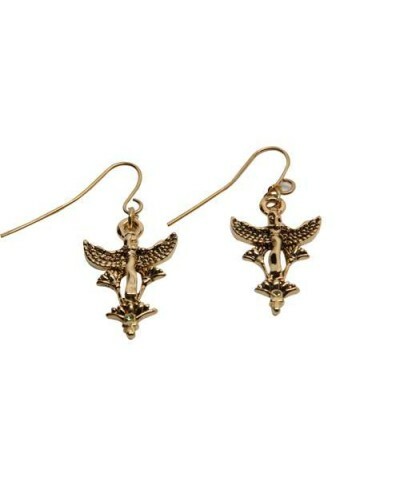 Made of a lead free alloy and plated, these gold tone lead free earrings have lotus blossoms and Goddess Maat. Item Number: PT-J396 | Approximate Size (Inches): 0.00 wide x 0.00 deep x 0.00 high | Approximate Shipping Weight: 0.25 lbs. 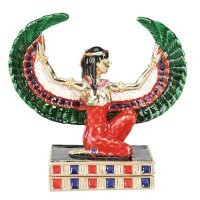 This lovely box may be small, but it is absolutely stunning! Gold plated an.. 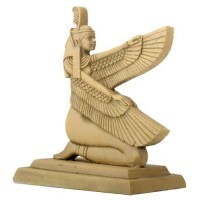 This small, cold cast resin Maat statue is stone finished and measures 3 in..
Mixed Metal Metal alloy with a silver or gold tone usually a blend of tin, copper and other materials. Lead free. 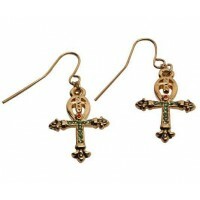 May contain trace amounts of nickel which is used in silver tone pieces to enhance shine. 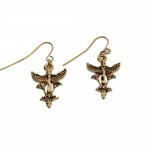 Often plated with gold, silver or brass.